Rev. Cowart has been in the preaching ministry for 54 years. 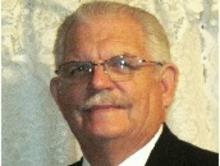 He has preach on radio, television , camp meetings and tent revivals. He is now back at his home church where he got saved at the age of 16 years old and started preaching at 17 years old. He pastored his first Assembly of God church at the age of 19 years. Naomi has unique ability to meet women of all age to show love and kindness with her 33 years as a labor and delivery nurse. We have a grand and glorious history of loving God and reaching out to the Lost. In 1947, Sister Mary Mills became the first Pastor of the Assembly of God Church in Colmesneil, Texas. In 1948, Bro. Edward Mills was elected to serve a Pastor, he and Sister Mills served in this capacity for ten years. During which time the Church purchased the old Baptist Church. The church was located there for six years, until , during a Revival, two local businessmen donated the present property on highway 69 for a new Church to be built. The old church was torn down and much of the material was used in building the new building in 1954. In 1958 Bro. Joe Carter was elected Pastor. He served as Pastor until his death in 1998. We have had several wonderful men of God serve as Pastor and Interim Pastor since 1998. From 2005 to 2007, Rev. 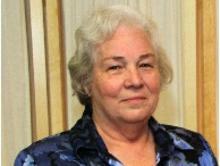 Darlene Burns served as our Senior Pastor. In 2009 we welcomed her brother, Rev. Kirbbie Louis Cowart , as our Senior Pastor. 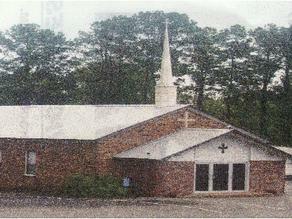 Through the years our church has undergone many changes both inside and out but the Love of God has remained the same. The people of First Assembly still desire that the Lord move mightily in our community and reach the "Lost". We pray that the Holy Spirit will continue to guide us as we continue our journey here in service for the Lord. Committed to helping our people achieve their dreams of walking in total victory, no longer a slave to sin. Sunday Night ................... 6:00 p.m.
Wednesday Night ............ 6:00 - 7:00 p.m.